The SET General Surgery Interview represents the final step for acceptance onto the General Surgery Surgical Education and Training (SET) program. The aims of the SET General Surgery Interview Combined Course are to provide doctors with comprehensive materials, strategies, and insights needed to fully prepare for the selection interview; to provide doctors with exposure to live interview panels; to provide an understanding of the criteria used to discern future surgeons; to prepare doctors to perform strongly in this highly competitive selection interview; and to develop life-long communication and presentation skills that will assist them in their practice of medicine and surgery. This course is conducted in a live setting with an interview panel that includes specialist surgeons some of which have past experience formally interviewing candidates for admission to SET. Throughout the workshop, attendees move through different sets of scenarios. All candidates have opportunities to be examined and to be the examiner throughout the scenarios, providing unique insights. Candidates also receive detailed personalised feedback, through formal feedback rotations conducted at the end of each set of scenarios. The course is suitable for doctors seeking to enter General Surgery or for those who wish to improve their communication and presentation skills in their practice of General Surgery. 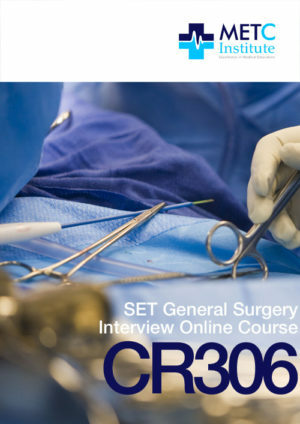 This course consists of 100 interview scenarios (200 questions) with ideal responses written and prepared by consultant General Surgeons with first-hand experience, expertise and insights into the practice of General Surgery, the SET General Surgery selection process, interview structure and training program. The course is suitable for candidates applying for SET General Surgery Specialty training who wish to complete a thorough interview preparation course that develops their clinical, communication and presentation skills or for those who wish to further their development in this area. In addition to the experience gained from the live interviews, all candidates will be given personalised advice and strategies for improvement. Total time allocated for personalised feedback is 50 minutes per student. The introductory modules orients candidates to the SET General Surgery Interview, and the course modules. The SET General Surgery Interview Workshop (CR305) duration is 9am to 5pm. The course is fully catered. For enrolment and payment, first click on “Course Date – Choose an option” tab at the top of the page to nominate a location. Secondly, click Enrol and follow the registration and payment instructions. 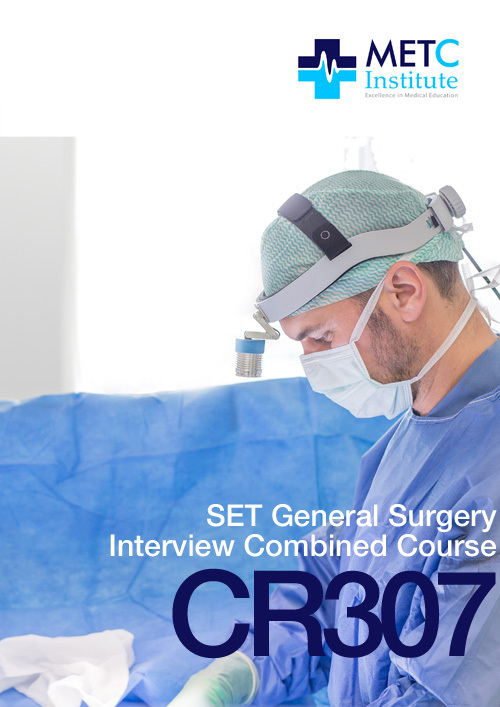 The SET General Surgery Interview Combined Course (CR307) is a highly specialised interview preparation program prepared by practicing consultant surgeons with unique experience and insights into the SET selection interview, including assessment and scoring criteria.